An aeronautics component manufacturer had accepted a project that appeared to be at risk. Sutton Tool’s Export Manager Jeff Boyd explains how we were able to help. Our client was in a fix. One of their South-East Asian plants had won the contract to produce an aircraft component for supply within 12 months – but after initial celebrations of the win, that commitment was turning out to be riskier than they’d envisaged. The problem was, they’d based their proposal (and subsequent contract terms for cost and delivery) on their cutting tools performing over the entire cycle time of 400 minutes. The two brands of tool they tried were unable to last the distance. The current tool, a design with four cutting edges, was lasting around 200 minutes – only half of the cycle time length they’d envisaged. This was causing down time for tool changes mid-cycle during the process, which was increasing their costs and restricting their output. They realised they needed to conduct some extensive testing and tool development in order to meet their customer’s requirements on time and on budget. As we had been successfully working with another site within the same group of companies, a colleague told them about our capabilities and suggested they invite us in for discussion on how we could help and partner them on this project. Increasing the number of cutting edges to six would distribute the wear across more contact points, effectively allowing the tool to last longer. Using a specific tool design geometry optimised for titanium and the trochoidal machining method being used. This resulted in suppressing the chatter and providing a smoother cutting action. A harder-wearing/high-temperature coating would resist the wear at the cutting edge for a longer period. We’ve found that the most critical concern when machining titanium is the quality of the components, such as surface finish. These parts often have thin walls, which can easily result in inaccurate or distorted areas when the wrong tool geometry and/or cutting parameters are applied. Our client was experiencing these issues with their current tool, so we knew that once we addressed them it would go a long way to solving their problems. We couldn’t achieve our client’s requirements instantly, as there were a number of steps to be taken to implement the solution. We submitted a series of test tools with slightly different changes based on our recommendations, to ensure the changes we made were improving the process. Using a more suitable substrate grade that could withstand the normal wear characteristic of machining titanium. Applying a high surface finish on the tool by using a new linear-motion CNC grinding machine together with new generation grinding wheel technology – enabling better adhesion of the coating to the tool, which resulted longer tool life. The business benefit of the solution we delivered meant that our client was able to meet their output target in line with their own customer’s requirements – removing the potential loss from the project. Once the tools were able to complete the entire 400 minute cycle, there was no tool change required. This increased their output of components to achieve ideal productivity, in line with the project budget. Plus, since the wear became quite minimal after the 400 minutes of machining time, an additional financial benefit we were able to offer was our ability to refurbish their tools after use. They could then re-use them for approximately 30% of the cost of new tools– greatly reducing their overall tool costs over the life of the project. Since solving this particular problem we have gone on to solve others for this client. We have also applied the same geometry to a line of super alloy tools that are being widely adopted by components manufacturers in the ‘aerospace valley’ around Toulouse in France. 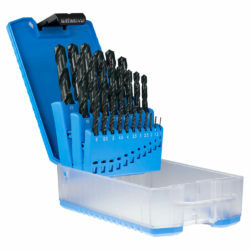 Subscribe to our occasional blogs on new and emerging developments in tool technology.